Promo ends May 28, 2015. Travel period is from June 15 to September 30, 2015. 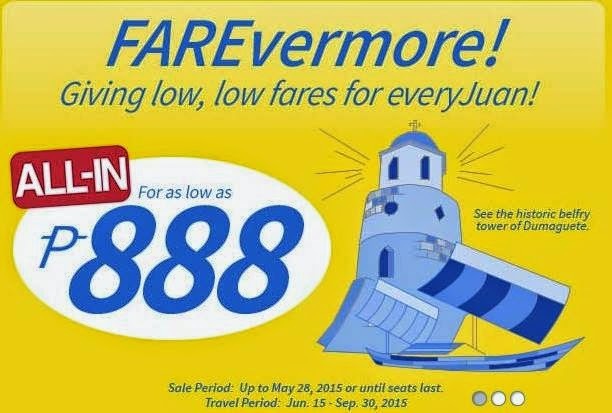 Book now online at www.cebupacificair.com or their nearest ticketing office.